mad orange fools: My first press! 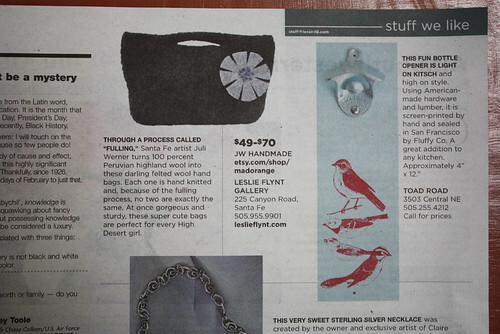 My line of felted bags and bowls which I call JW Handmade got mentioned in this week's edition of Local IQ, an Albuquerque newsweekly. I'm very excited about the hook up! A super nice end to a very long week.